Where can I see how long the delivery takes? Unless otherwise stated, items take up to 3-5 days to deliver. We are entitled to make partial deliveries, if you can be reasonably expected to accept such deliveries. Please note that delivery of products made to your specification, e.g. custom-printed shirts, can take up to 10 working days. If we are unable to deliver the items ordered through no fault of our own, e.g. a failure by one of our suppliers to meet its contractual obligations, we are allowed to withdraw from the contract. Any payments you may have already effected will, of course, be refunded. Unless otherwise stated, items take up to 3-5 days to deliver. We are entitled to make partial deliveries, if you can be reasonably expected to accept such deliveries. Please note that delivery of products made to your specification, e.g. custom-printed shirts, can take up to 10 working days. What do I do if my order is not delivered? It is very rare for a parcel not to reach the addressee. If it does happen, we will send a replacement immediately. How are deliveries made and how can I track my order? Items are delivered by DHL or UPS. You can track your order on www.dhl.de oder www.ups.com. The tracking number will be included in an email we send you on shipping your parcel. Unfortunately, different rules apply to orders from abroad due to the very high shipping costs in some cases. The minimum order value for such orders is €50. As a share of carriage costs we have to charge €13 (European countries) or €25 (non-European countries). We can only ship flags abroad without poles. Orders, which include Products from Hisense, are only delivered in Germany. An order from abroad is not possible. It allows you to manage your personal data in a convenient and secure manner. Registering makes ordering faster and you get information on your previous orders. The new online store requires you to log in with your own email address. You can now only use one email address for one account. Should you end up logging into a family member’s account, please assign it a different email address which that family member has access to in the My Account section. Once you have completed this process, please log out and start a new registration process. Don’t worry, it’s not a completely new registration – a link to your previous account will be set up in the background. Should it say that your email address is not available, it is because the same email address is still assigned to different accounts. Please re-register all other accounts that have been set up under that same email address. Confirmation of the new registration can take up to three working days. Then you will be able to log into your new account. You can request a new password and get this sent to your E mail address. Payments can be made by PayPal, by credit card or by direct debit. Unfortunately, different rules apply to orders from abroad due to the very high shipping costs in some cases. Please note that flags can only be shipped abroad without the pole. Payment can be made by PayPal or by credit card. For this for free payment option you just need a log-in for Paypal which you can request for the first time during the booking process. We accept American Express, Eurocard, Visa and Victoria-Mastercard. Please quote the card’s full number and expiry date when making both written and telephone orders. If you are a registered customer with FC Schalke 04, you can pay by direct debit. You are not taking any risk by paying this way, as the debiting of the invoice amount can be revoked. How safe are credit card payments? We use SSL (secure socket layer) technology to ensure your credit card details and personal data are protected on transfer. You can tell you are using this security protocol when https:// appears in the address line of your browser. When paying by credit card or direct debit, do I pay in advance or after the delivery is made? With both methods you always pay before the items ordered are delivered. What is the ticket exchange? All relevant information on how to order tickets for away matches has been clearly compiled in the FAQs. Applications for away tickets can be made primarily by members and, since this season, now also by non-members. Non-members can only apply for seats and will only receive an allocation once any remaining tickets have been offered to members who did not receive tickets. Points for applications are only awarded to members. Any main purchaser aged 16 or above can apply for a ticket. Fellow purchasers must be at least six years old. Applications can be made for a maximum of four away tickets per order. In this case, the membership/customer number of the other three applicants is required, as well as the membership/customer number of the purchaser. The order deadline is seven weeks before the respective Bundesliga fixture, as scheduled by the DFL (order deadlines for special games can differ), and always on the Monday of that respective week. However, we reserve the right to extend the order deadline for games that have not been scheduled until the timings are confirmed, so that previously requested tickets can be cancelled or new applications can be submitted. Tickets are usually allocated two weeks later (i.e. five weeks before the fixture). The date of the application plays no role in the allocation of tickets. Prior to allocation, there is the chance for applications to be amended or cancelled via the purchaser’s online account at www.tickets-aufschalke.de. Should an application be withdrawn, a new request for tickets can still be made before the deadline. A subsequent change to a less popular category significantly increases chances in the allocation process. Payment is only possible by direct debit, therefore the process can only take place when the correct bank account details have been entered under My Bank Details. Whilst placing the order, it is possible to specify a different collector who will pick up the tickets at the Service Centre reception. When making group orders, please be aware that purchasers can specify only one price category for the entire order. A separate application must be made for each match. Allocation of tickets or failure in the application process will be notified via email. The main purchaser will be provided with a breakdown of the allocated tickets in the confirmation email. After the two-week application period, members are awarded one point for every competitive fixture (Bundesliga, DFB Cup and Europe). Members can see how many points they have as well as their points ranking under "My Points" in their online account. A points account can also fall into negative figures (see "Controls"). Points are halved at the end of a season to ensure a relatively level playing field. Odd numbers are rounded up. Tickets for collection can be picked up at the following times at the Service Centre: Monday to Friday 9am to 6pm, Saturday 9am to 2pm and from 9am until kick-off on the day of home games (12pm until kick-off for home matches on a Sunday). Collection times will be stated in the confirmation email. Tickets will not be refunded if they are not collected in time and members will also be deducted the point for their application request. Shipping and handling costs amount to €4.50. The shipping of away tickets is at the customer’s own risk. Replacement tickets are not available in the case of loss. Refunds are also not possible. Collection at the Service Centre is free of charge. An advance booking fee amounting to 10% of the ticket price is also included, but this is capped at €5 per ticket. Purchasers must ensure that their online account contains their current address in order to ensure a trouble-free shipment. Attendance checks will take place at the ground on matchdays. Spectators subjected to checks will receive an email in advance with all the necessary information, as well as a request to pass this on to any other people in possession of tickets. Invitations can also be found on online accounts. Invitations to take part in attendance checks are sent out at short notice. Four points will be deducted from the member in the event of an unexplained non-attendance. Only the point for the application will be deducted if a written notice is received before kick-off. Members in violation of fair play rules will be sanctioned with individual point deductions depending on the situation. We reserve the right in some cases to invite non-members to take part in attendance checks under certain conditions. The allocation of away tickets to fan clubs organised by the Schalker Fan-Club-Verband (SFCV) is still carried out by the SFCV, but primarily to members of FC Schalke 04 e.V. Coach trips are no longer offered by FC Schalke 04, but interested members can contact the Schalker Fan-Club-Verband. For further questions, members and purchasers can contact customer service by email (kundenservice@schalke04.de) or by telephone at +49 180 61 50 810 (0,20 €/Call from german landline, mobile max. 0,60 €/Call) on weekdays 9am to 6pm, Saturdays 9am to 2pm (until kick-off on home matchdays) and from 12pm until kick-off for home games on Sundays. Tickets can be ordered by telephone (+49 180 61 50 810, 0,20 €/Call from german landline, mobile max. 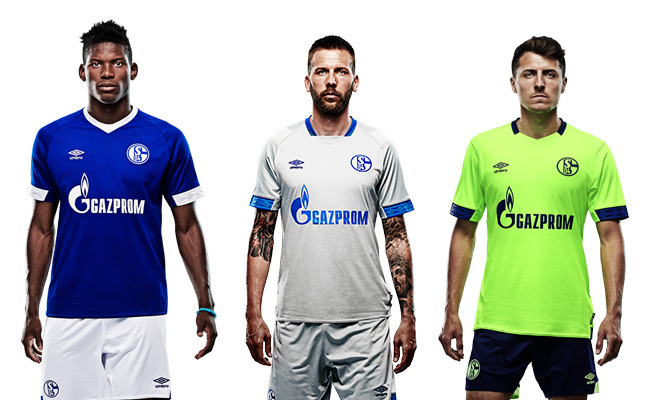 0,60 €/Call) or via our homepage store.schalke04.de. There is also the possibility to purchase tickets directly in the Service Centre by the VELTINS-Arena. Any written orders by post, fax and email are, as a general rule, not considered. New customers can pay by credit card only for their first purchase. Tickets for fans with disabilities can be ordered by email at kundenservice@schalke04.de or by fax +49 209 36 18 599. Further information can be found under Tickets for People with Disabilities on our homepage. Away tickets for Bundesliga matches can be requested on https://store.schalke04.de/shop/en/ throughout the whole season until seven weeks before the match takes place (dates for international matches may vary). After the request period has expired, the tickets will be raffled to the requesters. Therefore you need to register on https://store.schalke04.de/shop/en/, as well as your potential companions. Please note that a ticket request is not automatically a guarantee for an allocation. The shipping charge is about 5,00 €. In case of loss, you will not be able to get a refund nor a reprint. For further questions, please take a look at our FAQ. Q: How can I book a ticket for an away game? A: You can start a request on https://store.schalke04.de/shop/en/account . After the request period has expired, the tickets will be raffled to the requesters. Please note that you have to register first. In case you already did so, please log in in order to start a request. If you would like to request more than one ticket, your companion(s) have to sign up as well. You can only use one e-mail address for one account. In case there are still tickets left after the allocation, there will be a public sale online. Q: Why can I only apply for seats? A: Standing room tickets are only for members. Nonmembers can just apply for seats. Q: Can I start a request for my kids? A: You can apply for tickets for your kids, too. The minimum age is 6 years and you have to register children with their own e-mail address which has to differ from yours. In a public sale, you do not have to register additional purchasers. Q: Is there a special discount for children? A: No, children have to pay the full price for away tickets. Q: How can I pay the tickets? A: In a public sale, you can pay by credit card online. A successful ticket request can only be paid by direct debit. Q: I have purchased a ticket but am no longer able to attend the match can I get a refund? A: No, unfortunately you will not be able to get a refund. Q: How do I know about a successful allocation? A: Please take a look into your customer account. In case the status is “angenommen”, your request has successfully been accepted. “Abgelaufen” means the opposite, so there are no tickets left. “In Bearbeitung” says that we are currently working on the allocation. As long as the status is ”offen”, you can delete (“stornieren”) your request and even start a new one. Q: Can I pick up the tickets somewhere else instead of receiving them by post? A: You can pick up the tickets in our ServiceCenter on our ground. The pickup is free of charge. A pickup on match day is not possible. The pick-up tickets can be collected from Monday to Friday 9 am to 6 pm, Saturday 9 am to 2 pm, on match days (home matches) from 9 am until kick-off (for Sunday games from 12 pm until kick-off). Q: I lost my ticket. What can I do now? A: Please contact us by e-mail. In case a reprint is possible (depends on the home club), you can pick up the reprint on match day at the stadium. Please note that there is no guarantee for a reprint. Season tickets – how to apply? What is a season ticket subscription? Season tickets are only available at FC Schalke 04 as a subscription. This is a service that the club offers its most loyal fans and customers. It is the chance to ensure your place at the VELTINS-Arena every year without additional and complex procedures. The subscription service is renewed automatically for another season unless confirmed in writing by both sides before the final Bundesliga game of the previous season. That means there are no disadvantages to holders of this subscription! What is the difference between Pure Bundesliga and Total Schalke subscriptions? Two forms of subscription are on offer: Pure Bundesliga and Total Schalke. The Pure Bundesliga subscription includes just the home Bundesliga games at the VELTINS-Arena. If you want to attend every match, then the Total Schalke offer is the perfect option for you. This offer doesn’t just include home Bundesliga games but also other competitive fixtures in domestic and European cup competitions – just total Schalke. The owner of an FC Schalke 04 season ticket can choose whether they prefer their tickets in card or paper form. With the card version, all matches are electronically saved onto a plastic card like a credit card. The major advantage of this is that all 17 Bundesliga fixtures at the VELTINS-Arena are available to you for a cheaper price. Paper tickets, which are frequently passed on (e.g. company or fan club season tickets), will be printed out as individual matchday tickets for the respective games. The season ticket cards are issued just once, are "ageless" and valid until the end of the respective season. That means that new electronic cards are not issued for each year but that the matches for the new season will be automatically uploaded onto the "old" card. These can therefore continue to be used. Electronic cards can also be loaded with "Knappe", the currency used at the VELTINS-Arena. This is possible on matchdays at the VELTINS-Arena. People with disabilities receive seated concession season tickets in block X or Y. But allocation can only take place after receipt of valid evidence proving a degree of disability over 70%. A concession season-long parking pass can only be issued in conjunction with a concession season ticket. Our customer service agents are the point of contact for Schalke fans in wheelchairs or with a disability. You can contact them either by telephone (+49 180 61 50 810, 0,20 €/Call from german landline, mobile max. 0,60 €/Call) or by email (kundenservice@schalke04.de). Further information on how to apply for season tickets can be found under Tickets for People with Disabilities on our homepage. We would like to draw your attention to the fact that tickets purchased with us are exclusively for private or fan club use. Resale, including auctioning for an inflated price, is strictly forbidden and will be punished accordingly as per our terms and conditions (paragraph 5). You can offer your tickets by going to "My Account" on store.schalke04.de. For your own safety, we recommend that you use a handover certificate when selling tickets to unknown people, and these can be obtained at agb@schalke04.de or directly in the Service Centre. By email at kundenservice@schalke04.de or fax +49 209 38 92 599. If there are at least three days remaining before the next match, then the new season ticket will be sent out by post. A new season ticket card can also be requested directly in our Service Centre. A replacement generally takes only a few minutes and is subject to a fee in the case of loss. With Schalke Bonus, the official bonus programme of FC Schalke 04, you can collect Fanmiles around your favorite club and exchange them for unique fan prizes. You will find all the necessary information about Schalke Bonus on www.schalkebonus.de.